We work here, a fully-equipped, car and auto repair facility in Rockville, Maryland. We're large enough to have the best tools, but small enough to give you the best attention. 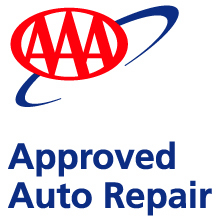 We are a AAA Approved auto repair shop, a certified Maryland State Inspection facility (Station # 8047-A) and top-rated automotive service center recognized by Consumer Check Book for outstanding performance, reliability, and price. We are trained, equipped, qualified and ASE certified Master Technicians to work with modern automotive technology! Our record speaks for us. We're an auto repair shop with high quality of worksmanship, high level of integrity, and strong customer base support. Please check us out in Google, Bing, Yahoo, Yelp, Angie's List, and more. We're located next to Shady Grove Metro Station and Kings Farm of Rockville, serving Rockville, Gaithersburg, Germantown, Darnestown, Montgomery Village, Derwood, Bethesda, Potomac, and North Potomac in Montgomery County, Maryland.